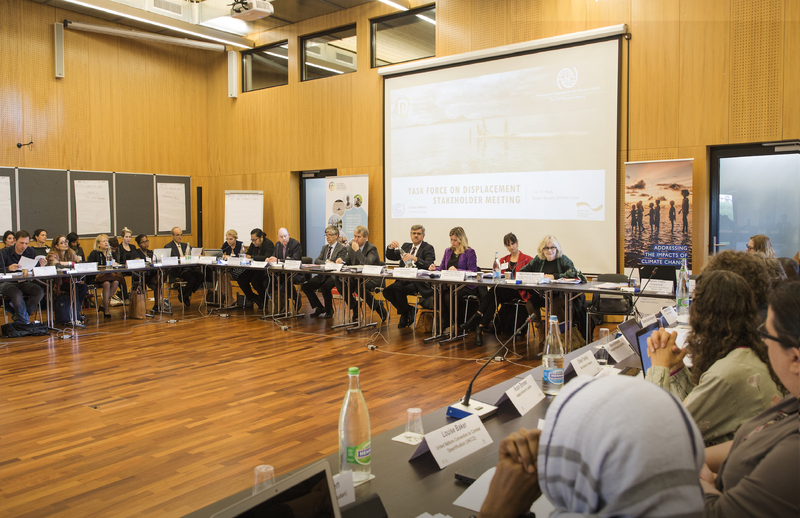 Bogis-Bossey, 15 May 2018 – Stakeholders from all over the world are gathered in Switzerland on 14 and 15 May to contribute to the work of the United Nations Framework Convention on Climate Change (UNFCCC) Task Force on Displacement and to assist in drafting recommendations to avert, minimize and address displacement in the context of climate change. The conclusions will be presented by the Executive Committee of the Warsaw International Mechanism for Loss and Damage (WIM) at the Katowice Climate Change Conference (COP 24) in December 2018. “Displacement of people in vulnerable communities is happening and we have given the role to identify and strengthen practical measures to address the challenges of climate change displacement. I therefore urge the community of practitioners to deliver on this mandate by COP24,” said Pepetua Latasi, from Tuvalu, and Co-Facilitator of the Task Force on Displacement. An average of 25.3 million people per year were forced to leave their homes due to floods, tropical storms, droughts, glacier melting and other natural hazards between 2008 and 2016. The impacts of such hazards are magnified by climate and environmental change, fast-paced urbanization and population growth. IOM, the UN Migration Agency, and the Platform on Disaster Displacement (PDD) are jointly organizing the stakeholder meeting on behalf of the UNFCCC Task Force on Displacement in Bogis Bossey, Switzerland. More than 60 experts from governments, regional organizations, civil society and international organizations in the field of migration and climate change are in attendance. “We need to act, and to act together. Cooperation in this area is not only a necessity, but also a duty of humanity, to the women, men and children who are most often already living in vulnerable situations. 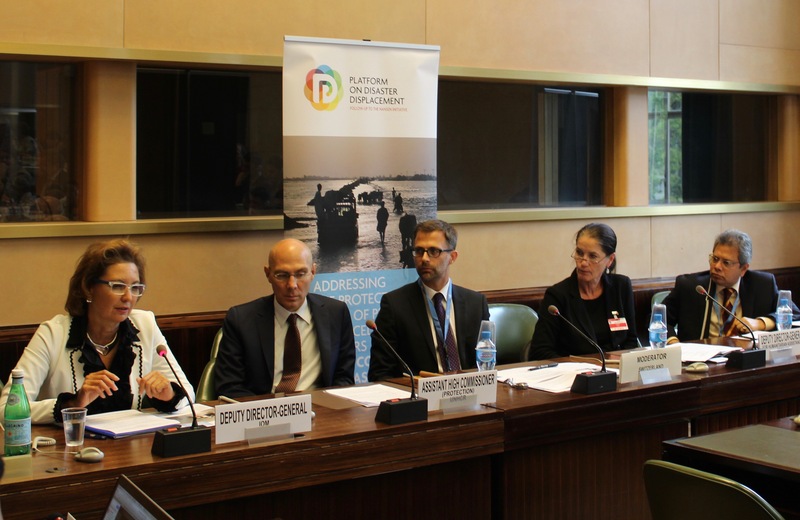 It is clear that States and others need to strengthen efforts to avert, minimize and address displacement related to the adverse effects of climate change, “ said Marie-Pierre Meganck from the Permanent Mission of France, speaking on behalf of the PDD Chairmanship. 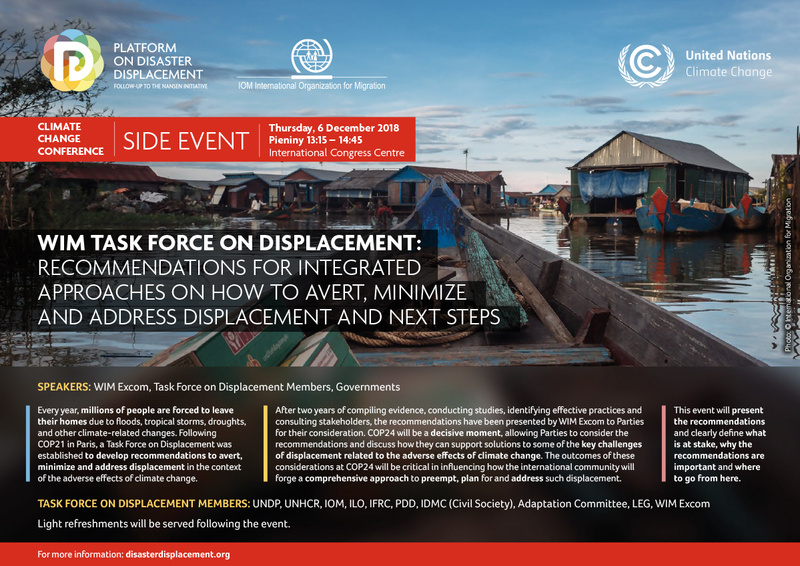 The Task Force on Displacement was created by States to develop recommendations for integrated approaches to avert, minimize and address displacement related to the adverse impacts of climate change following a decision adopted at the Paris Climate Change Conference (COP21) in 2015. The Task Force operates under the Executive Committee of the Warsaw International Mechanism for Loss and Damage (WIM Excom). IOM and PDD are Members of the Task Force on Displacement. Since its creation in 2017, the Task Force undertook nine mapping exercises and analyses, covering policy, practice and data related to human mobility in the context of climate change. Task Force members identified and suggested solutions for several gaps related to international law, operational implementation, funding, and data collection and analysis. One of the objectives of the stakeholder meeting is to present and discuss these findings, and gather additional inputs from international experts. This meeting will be the first time that such a diverse group of stakeholders come together to review the relevant research and practices regarding displacement in the context of loss and damage under the work of the Task Force. “There are many effective practices to prevent and reduce displacement and to help those who are displaced but they must be harmonized, made more predictable and scaled up. This not only requires more resources but also stronger efforts of climate change, disaster management, development, humanitarian and migration actors to work hand in hand”, highlighted Prof. Walter Kaelin, Envoy of the Chair of the PDD. “If we invest in climate action today, we reduce the risks of displacement due to climate change for future generations. It will mean reducing losses and damages that occur when migration is a tragedy and a last resort. But we also have to think migration policy and practice with innovative eyes, so as to see how safe and orderly migration can provide solutions and opportunities for people who are affected by climate change to move in dignified matter,” said Dina Ionesco, IOM Head of Migration, Environment and Climate Change division. The event ends this afternoon (15/05) with a meeting for Task Force members only chaired by the two Task Force co-facilitators, Australia and Tuvalu, to discuss the next steps for the Task Force. 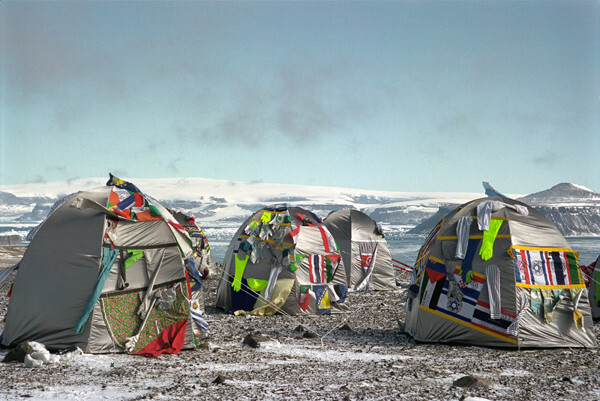 IOM is a leading partner in mitigating climate displacement. The Organization continues to lead climate migration programmes in more than 40 countries, including in the Pacific Islands, Latin America and on the Asian and African continents, while also working with governments and other stakeholders to drive policy coherence and development. The State-led Platform on Disaster Displacement (PDD) works towards better protection for people displaced across borders in the context of disasters and the adverse effects of climate change. Following up on the work of the Nansen Initiative, PDD, now under the leaderships of Bangladesh and France, works in partnership with IOM and UNHCR to find policy solutions for those forced to move and to cover data gaps.